Victims of CSIRO have received a request to publish a letter from Dr Stephen Trowell who was named in the nationally syndicated article “CSIRO accused of more shabby tactics”. While the matter is in front of the Federal Court we cannot comment other that to state that are aware that the author of the article has sought comments from CSIRO (and Dr Trowell specifically) but the request was denied. We do not know whether CSIRO made Dr Trowell aware of the questions asked by the journalist prior to the publication. On April 14, Fairfax Media published an article titled ”CSIRO accused of more shabby tactics”. The article uncritically promoted the personal agenda of an individual who is currently litigating related matters against my employer. Of the two people mentioned by name, only Sylwester Chyb’s account was presented. In respect to myself, the article was one-sided. This was typified by a picture of me with the caption ”Shortcomings: Dr Stephen Trowell”. This article was apparently justified by quotations from an eight-year-old review, conducted shortly after I had been appointed to lead a project in a completely new area. It would have been more informative if you had checked my up-to-date and publicly available record of research and innovation at researcherid.com/ViewProfileSearch.action. The article alleged that I ”was forced to formally apologise a few days later for an email … containing the allegation”. Following the negotiated resolution of my complaint against Dr Chyb, I was not forced to make any apology. Voluntarily and on my own initiative, I apologised for the hurt Dr Chyb had felt. My sole motivation was to restore civility to our working relationship. Your article states that a breakdown in my relationship with Dr Chyb led to his departure, an allegation presented as fact that is currently in contention before the Federal Court. This is a quick posting to advise of a new website which has recently launched, Victims of DSTO (Defense Sciences and Technology Organisation), which is often referred to as the Defence equivalent of the CSIRO. What does this have to do with the Victims of CSIRO? There are striking similarities in the treatment of staff in both organisation, in particular the victimisation of whistleblowers and those genuinely concerned about the reputation of Australian science agencies. Similar to Victims of CSIRO, Victims of DSTO are attempting to transparently address the issues with much resistance and apathy coming from within the incumbent Federal cabinet, enforcement and regulatory arms of the Australian Government. The following document was provided by the World Fire Safety Foundation (www.thewfsf.org) suggesting that the CSIRO have known for a long time that the technology used in a certain type of smoke detector (ionisation) fails to detect smoke! The CSIRO has been responsible for the testing of Smoke Detectors in Australia but has failed to test the the ionisation type detector for its ability to detect smoke, apparently with the full knowledge that it would not pass Australian Standards, the theory is that if you do not test something for a particular purpose, then it cannot be found to be unsuitable for that purpose. The CSIRO generates income from the testing and passing of smoke detection devices. Again this appears to be yet another example of the CSIRO putting its revenue above that of the safety and wellbeing of the Australian public. The failure of the ionisation type smoke detectors to detect smoke from a smouldering fire where emissions can be up to three times the toxic level fatal to humans has been linked to the deaths of over 10,000 people in the US where the particular type of smoke detector is approved for sale and use. It is unknown how many Australian lives might have been saved had this information been conveyed to the public by a “trusted” science agency. Provide below is a response from Victims of CSIRO in response to a letter by Professor Pearce published in the Sydney Morning Herald on the 19th of April 2013. Emeritus Professor Pearce is entitled to his opinion but then, so are we. While we have no problem personally with Professor Pearce and believe his intentions in relation to the investigation to be sincere, we still strongly hold to the position that it remains impossible to undertake a full and frank investigation of the allegations under the current terms of reference without significant interference by the CSIRO. Recent media coverage of serious misconduct allegations including serious criminal allegations implicating senior CSIRO officials and the organisation’s failure to address such allegations render the CSIRO incapable of presiding over any misconduct investigation with any degree of credibility. Failure to mitigate such perceptions will only serve to further damage the international reputation and credibility of the the Australian Government and National Science Agencies. We firmly believe that, in the interests of transparency and accountability, the investigation of serious allegations implicating senior bureaucrats should be commissioned by the Australian Parliament and not the Federal agency from which the allegations originate. Despite representatives of the Victims of CSIRO group travelling to Sydney to meet with Professor Pearce in person, the response to questions raised by our members did little to ameliorate the concerns and were insufficient to enable us to change our position in support of this investigation. Serious questions surrounding a number of undeclared conflicts of interest in relation to parties involved in this investigation still remain unanswered. Over the weekend, Victims of CSIRO will publish a full account of the meeting with the investigator. History suggests than any adverse findings reported to the CSIRO will either be buried or altered and misrepresented to the public. Requests made by Victims of CSIRO group to concurrently release the investigation report and any preliminary reports to all stakeholders, again in the interests of transparency have unreasonably been denied. In light of the absence of any significant improvement to the way in which the investigation is conducted, we must continue to maintain the position that participation in this investigation is not in the interest of our members. We strongly refute the assertion made by Professor Pearce that we do our members a grave disservice in discouraging them from engaging in the investigation. We strongly encourage anyone contacting us in relation to the investigation to review all material available and make their own determination on whether or not to participate. We simply publish an opinion which unfortunately happens to be contrary to the view expressed by Professor Pearce. The article “Science second in toxic CSIRO work culture” (April 13) inaccurately describes my investigation. Current and former CSIRO staff may make submissions (until May 27) about the conduct of current or former staff during Phase 1. In July, I will report on each submission and on my general findings (including lessons learnt and recommendations). After July, I will further investigate certain submissions by former staff about current staff. I cannot further investigate during Phase 2 submissions by current staff (who have access to CSIRO’s mechanisms for raising these matters). However, if at the end of Phase 1, I consider that the case of a current employee requires special attention, I will recommend that to CSIRO. I also cannot further investigate during Phase 2 submissions about former staff because CSIRO cannot take misconduct action against them. The article misstates what I can do with matters that have been formally investigated or considered by a court/tribunal. In fact, I can investigate certain matters so long as a fair, independent body has not determined/is not determining whether or not there was bullying or other unreasonable behaviour. The Victims of CSIRO group criticises that I can only make recommendations to CSIRO and that not all my findings will be published. Of course, all that an investigation can do is make recommendations. Under our system of governance, inquiries, royal commissions and parliamentary committees are all limited to making recommendations. It is up to the government to decide if those recommendations are accepted. The article’s criticism could be applied as much to the royal commission into child sexual abuse and to the defence abuse response taskforce as to my investigation. My general findings report will be published. My findings about individual allegations will not be published so as to protect individuals’ privacy. The victims of CSIRO do their members a grave disservice in discouraging them from engaging with my investigation. They will not have another opportunity to have their concerns reviewed by an independent body. I urge persons who have been subjected to or witnessed bullying or other unreasonable behaviour in CSIRO to contact the investigation team on 1800 465 298 and to read http://www.hwlebsworth.com.au/csiro-investigation. This particular response by the CSIRO relating to a Question on Notice from a previous Senate Estimates Economics Committee hearing appears to have slipped through the cracks, most likely because because it was responded to well after the required date and only a couple of days prior to the following Senate Estimates Committee hearings on the 13th of Feburary. There are some rather appalling statements made in this response, in particular what appears to be a suggestion that once an employee seeks treatment in relation to a suicidal ideation then it constitutes a personal rather than work related health issue. It is preposterous to even suggest that someone who becomes suicidal while being rehabilitated as the result of workplace injury has no relationship to the work situation causing the issue. The insinuation in the statement that attempted suicide “occurred offsite” and is therefore somehow less relevant or somehow diminishes the responsibility of the CSIRO in relation to its employees just goes beyond the pail. The CSIRO’s response to this question lays bare for all to see just how disfunctional and morally and ethically bankrupt its leadership really is! how many there have been in total during and since 2007. The response to BI-7 related to staff on ‘suicide watch’ which is not a term used in CSIRO. health professionals. CSIRO does not have a separate reporting system for suicide or ‘suicide state’. reported in our health and safety systems. rehabilitation a family member advised the organisation their partner was considering suicide. While any public comment in support of open and transparent government and an accountable bureaucracy is welcome, many of us remember all too clearly the two distinct faces of Senator Kim Carr, the first being the of shadow minister for Science in opposition to the Government and the second face being that of a cabinet Minister responsible for the Science portfolio. As Shadow Minister, Senator Carr challenged the integrity of the CSIRO in parliament but as a Cabinet Minister was notably silent, with the notable exception of turning his scathing criticisms upon the professional credibility of researchers who disagreed with the government. A particular criticism of the quality of a peer-reviewed research paper accepted for publication by a prestigious international journal springs to mind! Remember Clive Spash? The Brave New World of Carbon Trading? Obviously Senator Carr was not “a fan of evidence-based” anything on the day in which he determined that he was eminently more qualified to pass comment on research than noted experts in the particular field of research. 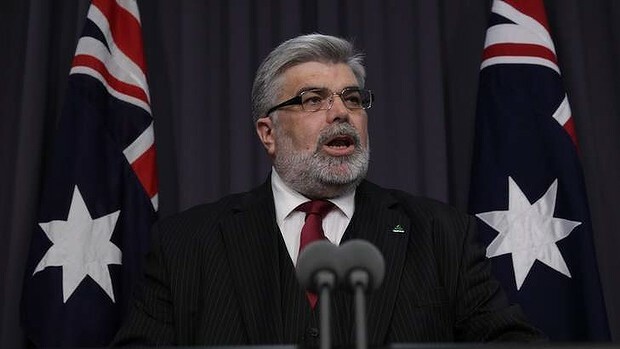 Rudd backer Kim Carr – a casualty of Labor’s leadership turmoil – will use a speech in Melbourne Thursday to attack ”bureaucratic blockers” in the public service and his own party’s commitment to open government. Until March the minister for human services responsible for Centrelink, Medicare and the pharmaceutical benefits scheme, Senator Carr will say most governments start off believing in open government, but that ”the will tends to ossify”. ”Who isn’t in favour of accountability? Who isn’t a fan of evidence-based policy?” his speaking notes say. ”The trouble is our practice doesn’t always live up to our aspirations. ”As Sir Humphrey observed in Yes Minister: If people don’t know what you’re doing, they don’t know what you’re doing wrong. ”The authority to approve data release is usually held by very senior public servants. However this power is often delegated right down to ‘middle management’ positions. ”President Obama has recently announced a great new project to map the human mind. We have here the great map of Australian society: life as it is lived,” Senator Carr will say. ”Public servants need to constantly be reminded and perhaps reassured that government wants them to release data in accordance with legislation. It’s a special kind of PR exercise to defend yourself in the court of public opinion without mentioning the crime you’re accused of. Today’s lesson comes from the CSIRO after it’s alleged dodgy dealings with a pharmaceutical company were exposed late last week. According to a Fairfax investigation published late last week, CSIRO and a company called DataDot worked together to create what they purported to be a top-secret anti-counterfeiting technology that drug companies could put in their medicines to prevent organised crime syndicates or even rival companies from reverse engineering and copying the substances. These syndicates in particular rebrand placebos and dump them on the market for cheap to get cash fast. The DataDot/CSIRO “invention” was meant to be like an encryption of sorts to prevent a drug being copied. CSIRO worked with DataDot to sell this industry trade-secret technology — known as DataTrace DNA — to a company called Novartis who wanted it for the protection of its injectable Voltaren ampules. Little did Novartis know that the “top-secret” gear that the CSIRO and DataDot had sold was allegedly a mixture of cheap chemicals that the two had reportedly bought from halogen tube manufacturers in China. Nobody’s disputing that the technology did what it was meant to, what Swiss-based Novartis has an issue with is that this “top-secret” technology is reportedly available from several vendors around the globe, meaning it can be easily cracked, rendering the DataTrace DNA product as easy to crack as typing “password” into a stupid person’s bank account field. CSIRO took to its blog to defend itself against the accusations over the weekend, but did so without actually mentioning what it had been accused of. If you didn’t know what was going on or didn’t have the initiative to go and read the original story, you’d come out the other side with raised eyebrows, but still with the idea that the CSIRO haven’t done a damn thing wrong. There’s no proof that it even did do something wrong at this point, but it’s doing the best it can to deflect these allegations. For 87 years, CSIRO science has been supporting Australia’s national growth. CSIRO has not done that by standing still, and over a decade ago a radical transformation of the way we deliver our science was undertaken. To remain relevant to the nation and to answer the complex questions for society, we needed the courage to transform. For example it is no longer enough for farmers merely to have the best crop varieties. For the next level of productivity they need the best farming systems, the best sensors, the best water efficiency and soil knowledge. They need all of these answers delivered in a connected way. CSIRO provides these answers through its flagship program, multidisciplinary challenge-focussed groups that bring together the best minds and research. Was this the right decision? Yes it was, and others around the world agree with us: the Grand Challenges program in Canada and the INRA metaprogrammes in France are just two examples of similar responses. But to maintain the solutions focus requires a balance with science excellence. We hold ourselves accountable to those who are passionately committed to quality science, our former employees, our clients and the Australian public and I agree with those who demand science excellence. How do we do this? We subject our experiments, our papers, our fields of research, our output and our operations to rigorous scrutiny. And blah, blah and blah. We do have areas to improve. We have had claims of unacceptable behaviour made by former employees and I have addressed those directly. A number of internal actions are in place as well as an independent external review which is underway. CSIRO has been criticised by some for being silent on this issue but we must respect the privacy of all involved and it is not appropriate to discuss or defend details of alleged cases in public. World’s greatest smokescreen right there. Fairfax Media investigates the treatment meted out to an eminent entomologist by the CSIRO. In late 2004, Sylwester Chyb was teaching at the prestigious Imperial College in England when the award-winning entomologist was presented with an exciting opportunity – becoming a molecular cell biologist at Australia’s peak scientific body. Urged by CSIRO to accept the position and promised he would lead a team working towards discoveries in the area of his specialty – insect neurobiology – Dr Chyb saw a bright future in Australia. But within days of uprooting his family in 2005 and moving to Canberra, things began to fall apart. Now the eminent scientist is taking the CSIRO to court, accusing it of bullying, deception and breach of contract. ”It was the biggest mistake of my life,” Dr Chyb said. His experience is the latest revelation in a Fairfax Media investigation into the workings of Australia’s peak science organisation, which has revealed evidence of serious mismanagement and questionable practices. There were clear warning signs even as Dr Chyb negotiated his contract. According to his statement of claim, shortly after his final interview, Dr Stephen Trowell, an official in the same division, invited him for a coffee at the CSIRO Discovery Centre at Black Mountain. It was only years later Dr Chyb discovered that his appointment had been recommended by external reviewers to the CSIRO to overcome Dr Trowell’s perceived shortcomings. Dr Trowell’s comment was troubling because it would have been a significant demotion for the Oxford and Cambridge-educated scientist. After he raised his concerns, the contract Dr Chyb signed had another scientist identified as his line manager. Despite this, Dr Chyb’s statement of claim in the Federal Court says that on his first day of work he discovered that Dr Trowell was indeed his boss and would remain so until midway through the following year. It was a portent of what was to come. He became increasingly upset at what he perceived to be a campaign against him and he contributed to the tension with what he acknowledges was direct language. The funding promised for long-term research into insect chemoreception he says largely never materialised. In mid-2009 his division bosses refused him permission to accept a publishing deal for a groundbreaking book on the Drosophila, or fruit fly, which is a widely used laboratory model organism. He was not allowed to work on it even in his own time. In the end it was the breakdown of Dr Chyb’s relationship with Dr Trowell that led to his departure. It was only years later that he discovered an external review by international science leaders had made a frank assessment of Dr Trowell’s scientific standing. ”The committee considers that although the leader has a track record of patenting and as a CEO of a start-up company … he does not have as much credibility as the committee feels necessary,” the document said. In April 2009 Dr Trowell accused Dr Chyb of intimidating a younger scientist; he was forced to formally apologise a few days later for an email he circulated containing the allegation. At the end of the year a misconduct investigation was sparked, which led to Dr Chyb’s departure. He had been accused of trying to profit from the accommodation allowance CSIRO gave a recruit – he had moved into a studio flat Dr Chyb and his wife owned – but Dr Chyb had expressly sought permission for the transaction. Now CSIRO is relying on this allegation as part of its defence against Dr Chyb’s legal claim. While he was defending that accusation Dr Chyb discovered a discrepancy in the money budgeted for his researcher’s relocation on a document which carried his signature. Dr Chyb was sure he had never signed it. And he was right. An external investigation commissioned by CSIRO found his signature had been electronically forged on to the page. The investigation against Dr Chyb over the researcher’s stay never eventuated. Instead, CSIRO made Dr Chyb’s position redundant. Dr Chyb’s court hearing is set down for later this year. Midway through last year, a loose alliance of disgruntled CSIRO ex-staff, including some of Australia’s most prominent scientists, formed a website called victimsofcsiro.com and began publishing allegations against their former employer. The obscure blog was a low-key beginning to what has become a full-throated campaign in which some disgruntled scientists claim the independence and therefore credibility of Australia’s peak scientific body is threatened by government and now industry interference. They also claim the Commonwealth Scientific and Industrial Research Organisation has largely jettisoned pure science and is a toxic workplace where bullying is rife and outrageous behaviour by some managers has been ignored. A parliamentary committee examining workplace bullying published the group’s submission, which claimed there were 60 cases of top-flight scientists and others who were harassed and frozen out. The list included names such as Maarten Stapper, a soil scientist allegedly pushed out because of his criticism of genetically modified crops, globally recognised oceanographer Trevor McDougall, and award-winning entomologist Sylwester Chyb. The CSIRO, in an awkward position as it is a government agency, could not respond publicly to the allegations. In December, Comcare, the federal workplace regulator and insurer, issued CSIRO with a formal legal notice ordering a ”review and improvement” of the way it handled workplace misconduct following an investigation. Soon the opposition was claiming it was aware of 100 individual cases of bullying. In February, CSIRO’s head, Megan Clark, responded by posting a letter on the CSIRO website announcing her decision to establish an ”independent inquiry” into workplace bullying, which is now being run by a consultant and former Commonwealth ombudsman, Dennis Pearce. The ”victims of CSIRO” group is unimpressed by what its sees as Pearce’s limited scope. Not all of his findings will be published. The organisation will not be compelled to act on his recommendations. Whelan may well be right about some of the claims. Some participants have hitched themselves to the campaign with dubious claims of mistreatment; others were themselves the subject of adverse findings for bullying, Fairfax has learnt. But there are other cases which are not so easily explained away and which have the potential to seriously embarrass the organisation. 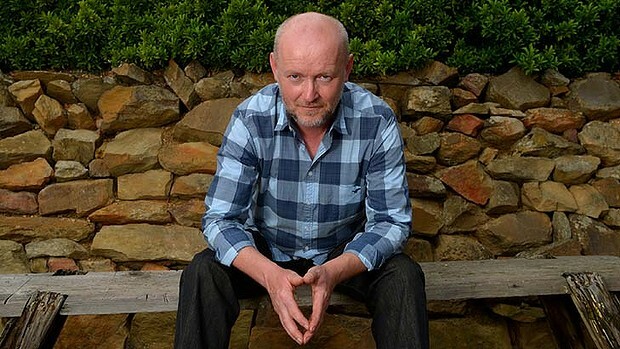 The most serious surfaced in December 2012, when a court made adverse findings about two very senior CSIRO officials in a workplace compensation case brought by business manager Martin Williams. One official, Damien Thomas, was found to have sent a ”deliberately false” email in an attempt to mislead Williams. The Administrative Appeals Tribunal found that another official, Calum Drummond, had given evidence that could not be trusted. Drummond had claimed he had followed proper processes in the affair. ”I am not satisfied,” Deputy President James Constance said, ”that Dr Drummond was a reliable witness and I do not make any findings of fact based on his evidence.” Drummond now sits one rung below Clark, CSIRO’s chief executive officer. The Williams case was a glimpse of another side of the organisation rarely seen by the public. Senior figures within the CSIRO accept the organisation can sometimes be riven by conflict. They accept, too, that the institute has made a fundamental shift away from ”pure science”. Those who have departed and speak freely say the national icon acts increasingly as a research arm of industry and the Commonwealth government. And now, 16 previously confidential reviews of the organisation, obtained as part of a Fairfax investigation, largely confirm this view. The change is having a deleterious effect on staff. Top-flight researchers have departed to find scientific freedom elsewhere, while others have been pushed out. Money is scarce. And as the organisation slides into what insiders have described as a ”consultancy” culture, as the funding for fundamental science has dwindled, so CSIRO’s researchers have learnt to claw at each other to get it. The obvious question is why? If it is true that the CSIRO is riven by conflict and overseen by a clubby, inept management, how could this have happened to so loved an institution? Some sheet home blame to changes made during the tenure of CSIRO’s former chief executive, Geoff Garrett. Before his appointment in 2000, each division of the organisation directed its own science, and its leaders enjoyed utter autonomy. Garrett bombshelled these silos, introducing a corporate hierarchy that controlled the organisation’s funds. With the money went control of the very direction of the organisation. It is widely accepted that the CSIRO was in need of change – that the power of the division chiefs sometimes prevented collaboration and fostered expensive duplication. But Garrett’s critics say that in his war to modernise the organisation, the best elements of CSIRO’s science culture became collateral damage. Scientists suddenly had what felt like sales targets. Groups of researchers had to bring into the organisation a share of what they were spending in contracts with companies and others. Perhaps more than any other factor, it is the heavy emphasis on ”applied” science that has prompted CSIRO’s internal malaise. 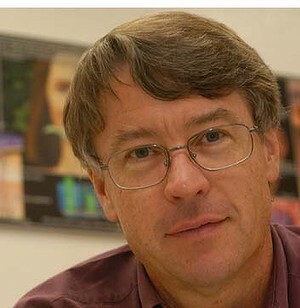 Stephen Cameron, who studies insect genomics and is now working for the Queensland University of Technology, attended a retreat in early 2008 in a Canberra hotel that was meant to be a forum to discuss the future direction of CSIRO’s entomology division. There, in front of a room of at least 100 people, a senior CSIRO executive addressed the question of funding for basic research. Both he and Chyb (who is embroiled in litigation with the CSIRO) say the term was a colloquialism for using money from paying customers to pay for side projects more useful for CSIRO’s global reputation. CSIRO dug up the presentation in question. The slide that accompanied the remarks said: ”Keep ‘skunking’; Don’t sell 100 per cent of yourself; leave some time for developing ideas, early stage research.” A CSIRO spokesman said the executive was simply telling the audience to keep ”working harder”. But the pressure for outside money is so great that observers see it, too. Every four years, CSIRO is required by Parliament to invite teams of eminent scientists behind the scenes to review the organisation. Their reports offer glimpses of how widespread the disaffection is. Some researchers feel ”sliced and diced” and ”disempowered”, according to one 2010 review, by the need to adhere to what paying customers want. They are ”dividing their time amongst three, four or even more projects” which ”impacts negatively on morale and productivity”. The CSIRO executive responsible for managing these reviews, Jack Steele, said that the high targets for external funding were partly a ”perception” issue, as they were set after government funds paid for the infrastructure and capital that support each team of researchers. ”Are we thinking … we should be funding all of our research … from appropriation and there should not be external revenue targets? Or is it appropriate that industry is investing in the R&D that is relevant to that industry’s future?” Steele said. He said the targets were a ”strategic issue” and maintained they are adjusted according to the market in each area of industry. But the pressure for revenue is clearly the cause of much angst inside CSIRO. Some groups feel they carry a ”disproportionate burden” of low-grade projects directed by paying customers which ”will eventually lead to unhappiness and dissent”. Similarly, the fact that only some scientists enjoy full funding ”may in time lead to some tension with those groups that have very high external earnings targets”. In the minerals science and engineering division, researchers had been discouraged from presenting at international conferences – a cornerstone of scientific endeavour – presumably in order to ensure the division could deliver ambitious volumes of industry work. One panel feared that established scientists would be ”frozen out” of significant fundamental research projects by managers anxious to keep them available for the industry jobs that bring in external cash. The result of much of this turmoil is the departure of good people. ”A number of first-class scientists have left the [Land and Water] division … for opportunities they considered would give them more scientific freedom and more opportunity to make major contributions in their fields,” the most recent external review of 2009 said. Meanwhile, in other areas, a clubby atmosphere or ”overreliance on promoting from within” has blocked promotion for frustrated younger researchers. Craig Roy, CSIRO’s deputy chief executive, said the organisation had ”looked very hard” at its culture over the past decade. It had launched new strategies for diversity and inclusion to promote a better gender balance and welcome differing points of view. By July, Clark will have some idea as to how large a problem workplace conflict has been in her institution, when the first of three reports by Pearce is delivered. Described as a ”high-level” document that outlines ”the overarching findings and recommendations” from the first phase of his inquiry, it will be made public. A second, confidential report due in February 2014 will tell her which submissions are sufficiently well-evidenced to be investigated during a second phase. But Pearce’s scope will restrict these investigations to those matters which have not been ”formally investigated in a fair manner, or which have been or are being considered by a judicial or administrative body”. It will not consider complaints from current staff and it will not consider allegations against former employees. This is certainly not a unique situation. A senior CSIRO manager who blew the whistle on the alleged illegal use of intellectual property by the country’s peak scientific body was forced out after staff convened ”sham” job selection panels and faked an official document to try to mislead him, a court has heard. In a significant blow, the Administrative Appeals Tribunal made a damning assessment of the internal workings of the national science organisation and criticised two senior executives for giving unreliable evidence in court. One of those men is group executive Calum Drummond, whose position sits one rung below CSIRO’s chief executive. But despite the tribunal’s dramatic castigation of the organisation, its boss, Megan Clark, told a Senate estimates committee in February there would be no internal investigation of the matter, or any disciplinary action taken against the two senior staff. CSIRO’s treatment of Martin Williams, a successful former business manager, may not have been unique. An investigation by Fairfax Media has found that in some sections of the organisation, bullying is rife. In February, the CSIRO announced an independent inquiry would review claims of bullying and harassment, chaired by the former Commonwealth ombudsmen Dennis Pearce. In the case of Mr Williams, whose job ”was to keep scientists out of jail” by ensuring contracts were legally vetted, things began to unravel in mid-2008 when the CSIRO division he worked for merged with two others and he found himself without a position. But instead of following normal procedures to redeploy Mr Williams – a deputy of the former textile and fibre technology division who brought in more than $53 million of research funding over a decade – senior staff gave him conflicting advice, disregarded company policy and convened ”sham” selection panels, the tribunal heard. In one instance, a senior manager, Damien Thomas, sent an email to Mr Williams that the court’s deputy president, James Constance, concluded was ”deliberately false”. The affair left Mr Williams with a severe mental illness and unable to work. ”The bullying completely destroyed my health,” he said. In a 10-day hearing in 2012, Mr Williams’ case against the Commonwealth’s workplace insurer, Comcare, exposed CSIRO’s woeful redundancy process, where staff were appointed without proper selection processes. Mr Constance found the ”inconsistent and at times ill-considered” advice given to Mr Williams by senior staff a significant contributor to his illness, although he made no findings on the panel selection process. ”I am satisfied that the conflicting advice was a result of insufficient care being taken in the management of Mr Williams’ situation or of a deliberate intention to mislead Mr Williams,” the magistrate found. He also found Calum Drummond, the former head of the merged division, now the group executive of manufacturing, materials and minerals, an unreliable witness. Despite the tribunal ruling in Mr Williams’ favour in December, it took the CSIRO four months to pay the business manager his entitlements. A spokesman for the CSIRO, Huw Morgan, said the tribunal’s findings related to the witnesses’ poor memory of the events and were not a reflection of their character or professional conduct.